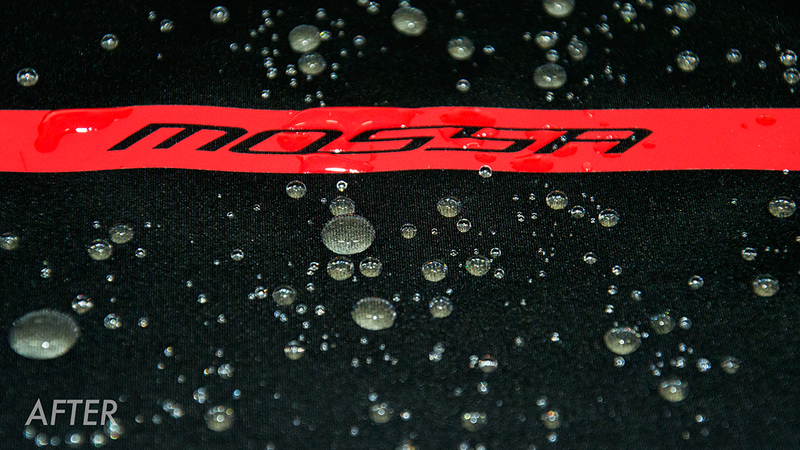 Many of Parentini’s winter kit (including the MOSSA, MOSSA.2, WINDTex SHIELD and WINDTEX Jackets and all Super Roubaix K-DRY Tights, Bib Shorts, Arm & Leg Warmers)* utilise the company’s own “HYDRO” water repellent system. 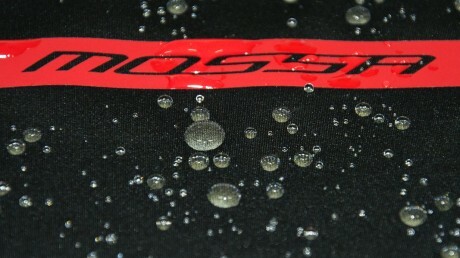 This is a DWR treatment, whereby the original fabric is bathed in a nanomolecular product. This process gives the fabric water and stain repellent properties, meaning water droplets just bead off and can’t soak into the fabric. 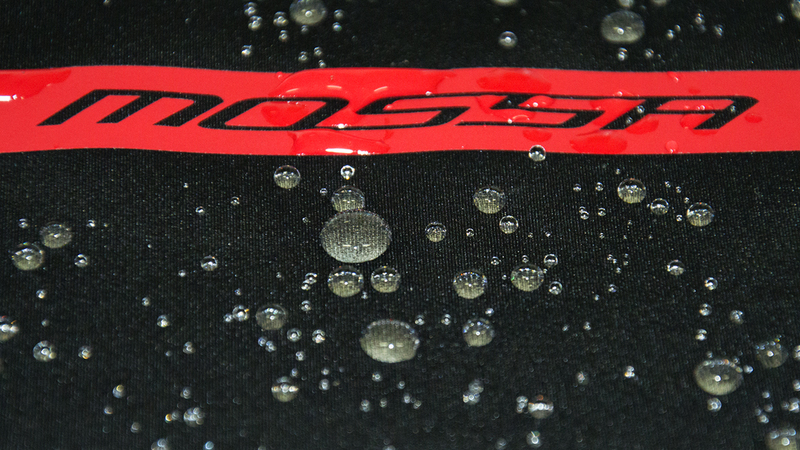 This process means soft fabrics, like the K Dry Super Roubaix, can repell rain (up to a point) ensuring the user remains drier for longer, and also adds an extra element of protection to waterproof garments, like the MOSSA and MOSSA.2. 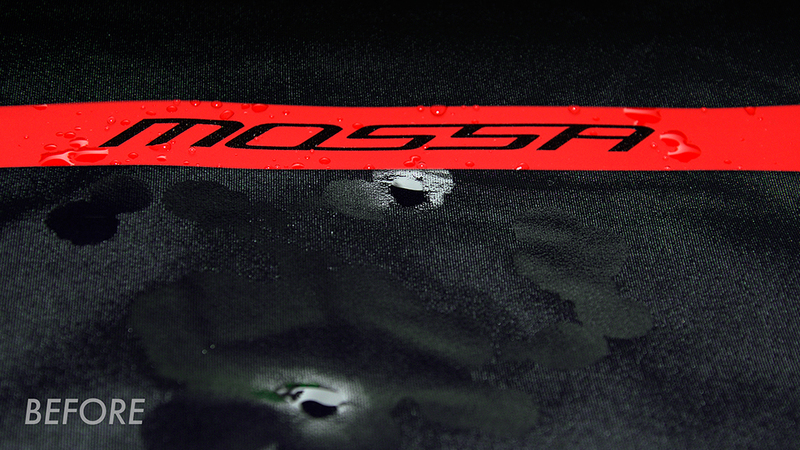 It means the seams have extra protection, and rain doesn’t ‘wet’ the outer laminate. Without this treatment the wetting could cause a feeling of clamminess, making the user think rain has got through, when in fact it hasn’t penetrated at all. This clammy, wet feeling, can also make the user feel colder, especially on the arms. A special treatment must be treated in a special way! Therefore depending on how you look after the garment, it can lose its water repellent qualities after about 10-15 washes. The good news is that there is a simple technique to reactivate the Hydro properties of your garments. Wash them carefully, inside out on a delicate 30 degrees wash with a simple non-bio detergent. Tumble dry on a low heat setting no more than 400 cycles, around 90° degrees, for the duration of 10-15mins. Pass an iron over the garment at about 90°C without steam, place an protective layer [ like a cotton towel ] between the garment and the iron, please make sure the iron does not touch the garment, and in particular the heat pressed logo or the rubber. Check the reactivation by putting the garment under a running tap. If it doesn’t bead off then you can repeat the process or try re-treating the garment, with a DWR re-proofing product. * (K-DRY and K-DRY Elastic, Vest and Shell, are not included in this family of products tumble dry and ironing tend to destroy this fabric. Be sure that people doesn’t mix K-DRY and K-DRY Elastic, Vest and Shell, and Super Roubaix K-DRY).